Thank you for downloading the report. The PDF should have opened in a new window and was also sent to your inbox. Anyone involved with design and the built environment knows there’s always more to learn. 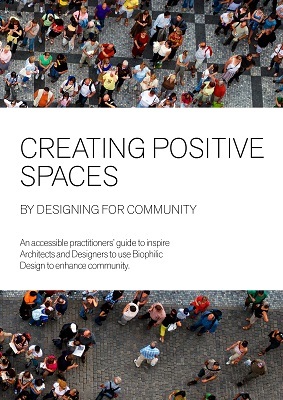 New thinking and research are constantly changing and enriching our approach to design – especially the ways we can support the well-being of those who use the spaces, and the steps we can take to make them more sustainable. We regularly commission studies into the key issues affecting architects, designers and the organisations that benefit from or influence their work. The insights we gain help us improve our products and services, and sometimes change our business – and even other businesses too. We hope you’ll find them useful. Creating +Positive spaces™ where we work, rest and play involves design that incorporates visual appeal, purpose, sustainable elements, and an understanding of human behaviour. We have brought together some of the most compelling research on the benefits a sense of community can have on well-being and business. What do we mean by ‘community’? Yes please, I would like to receive updates or survey and/or event invitations per email. Strengthening our connection with nature to improve well-being and productivity is much more than a design trend. It’s a major influence on all kinds of buildings, with clear benefits for people and organisations. 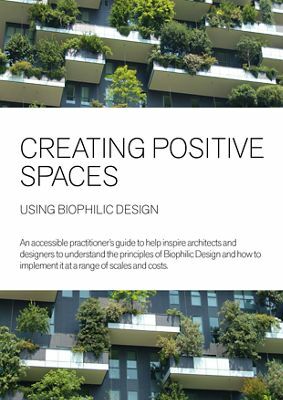 Our new guide to biophilic design helps you understand the principles and make the most of its positive effects. 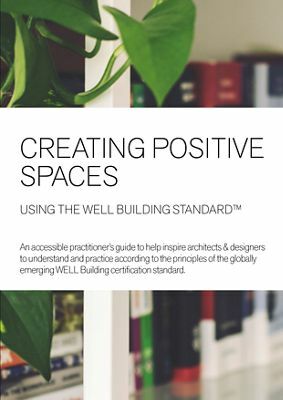 Making people happier, healthier and more productive is increasingly important in workplace design – and the new WELL Building Standard™ Certification aims to measure and regulate this. To help you understand the standard and follow its principles, we’ve created a clear, accessible guide for architects and designers. Hotels can gain a great deal from design that recognises our connection with nature. By improving their guests’ experience – especially through the soothing effects of natural references – they can attract more business, more profitably. 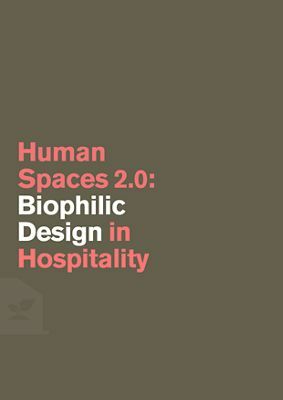 In this report, you’ll learn how biophilic design is influencing the hospitality industry around the world. How can we build on our innate affinity with nature to create workplaces that inspire, relax and revitalise the people using them? 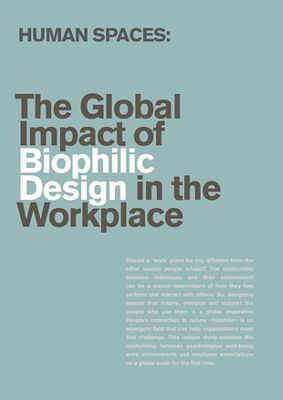 This authoritative study explores the power of biophilic design to enhance well-being, productivity and creativity. 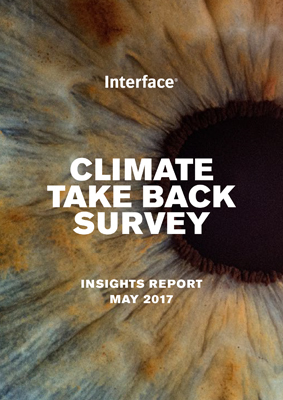 At Interface, we believe the global response to climate change needs to shift – to stop merely trying to limit the damage, and start thinking more positively about how to create a climate fit for life. We’ve talked to climate experts and young business leaders, and this report outlines their views on what we’re doing and what more is possible. Essential reading for anyone who cares about our planet. If humanity has changed the climate by mistake, can we change it with intent? Can businesses make more money and create employment opportunities while helping to safeguard the environment? 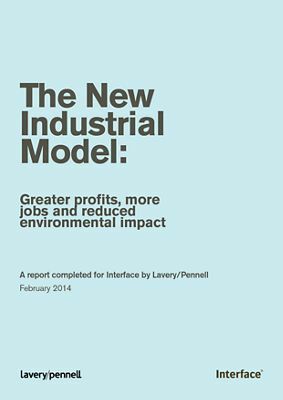 This report proves they can – and shows how, with examples from Interface, Unilever and Toyota, among others. It also looks at the huge potential for the whole European manufacturing sector.